I so look forward to yearly excursion in the beautiful Santa Fe, New Mexico. By mid September I am so ready to escape the long lingering Oklahoma heat and head to the mountains. And the beginning of fall is my favorite time to visit New Mexico. The Aspens start turning, the days are warm but the nights are cool, and you get to inhale the wonderful aroma of piñon and wear layers. And now it is time Christmas time in Santa Fe and I would love to see it! Santa Fe is nestled in the foothills of the Rocky Mountains at an altitude of 7,000 feet. The city occupies 33.4 square miles in a valley by the Rio Grande just below mountains that reach to over 12,000 feet. Thousands of acres of national forest and wilderness surround the city, and yet it is only an hour's drive to the Albuquerque International Airport. I have my favorites there which you can read all about here but I love that Santa Fe is always growing with new amazing things to try to. It's also one of the culinary capitols of the world so there is no way you can experience all that goodness in one trip. Lin and I really tried to be adventurous this go around and not just stick to the norm. 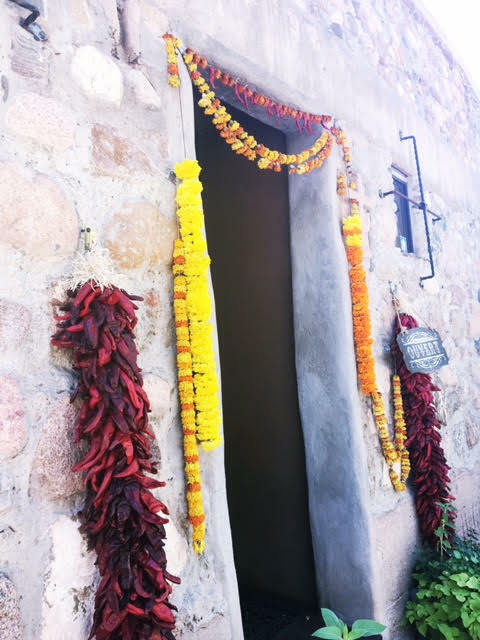 So here are the things we experienced that I would recommend for your Santa Fe travel diary. Lots of good food, lots of exploring, and lots of shopping! 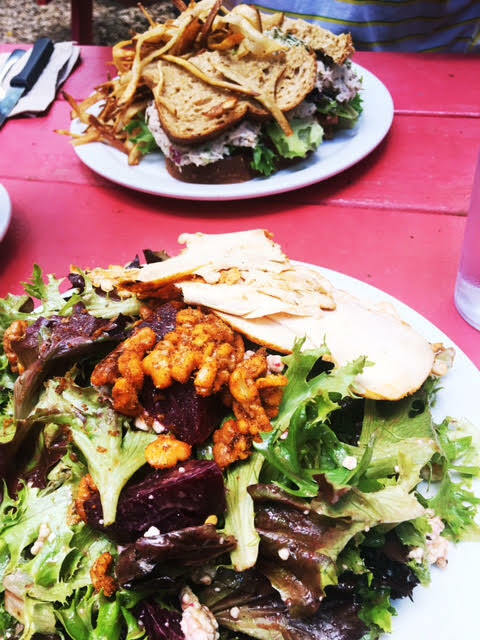 Counter Culture: Such a great little artsy cash only cafe offering great coffee, salads, sandwiches, and pastries. They have two patios too . It's right next to Art.I.Fact which is a lovely second hand shop! Raaga: This modern Indian cuisine hit the spot one chilly brisk night. It's tiny and quaint so go early or be prepared to wait. They serve a ton of clay oven specialties and Chef Paddy really could not disappoint. The service was impeccable too. Trust me on the spinach salad. You want to start with that and then work your way down that menu. One thing Lin and I loved was that the portions were small making it very doable to share multiple things so you get to taste more. Shake Foundation: Every now and then you just want a burger and a shake. And when you are in Santa Fe, you get a green chile cheeseburger if you know what's good for you. It was delicious! And I love vintage-style stand with patio seating. Lulu's Chinese Cuisine: This was the best Chinese food I have ever had and I do not even really like Chinese food. Everything was fresh and I really appreciate their commitment to serving the highest quality ingredients. The wine list is great too even though it is limited. Vinigeraette: Delish salads and soups and perfect for carry out if you are craving your own little Al Fresco picnic. Love that everything is prepared with the finest ingredients. 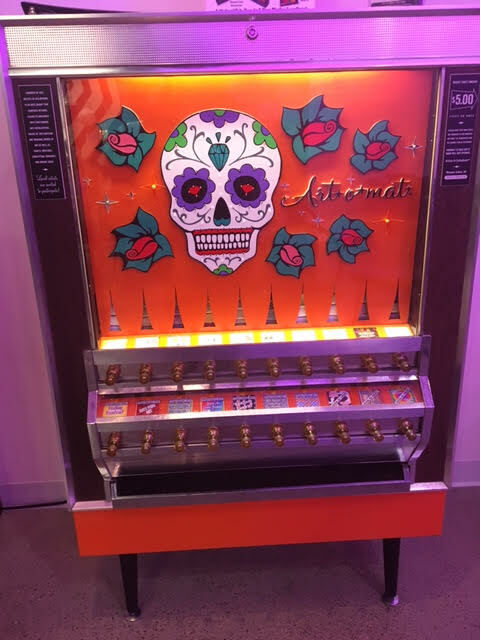 There is also a location in Albuquerque and Austin. The Kale fritters are out of this world and I love the Asian chicken salad. 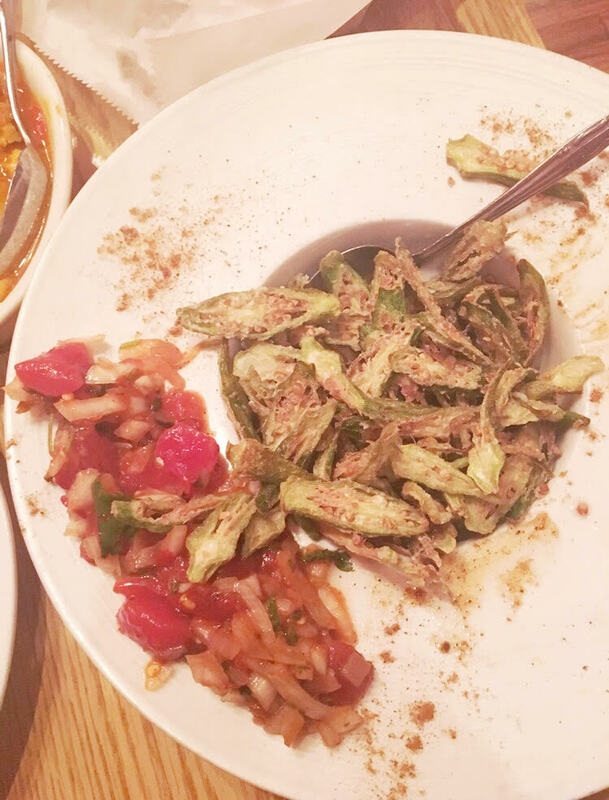 El Farol: I know I said this post was dedicated to new finds but I just El Farol so much. And it's so different for lunch vs dinner. This time we had a beautiful patio lunch with wine and just relaxed watching all the beautiful people stroll up and down Canyon Road. 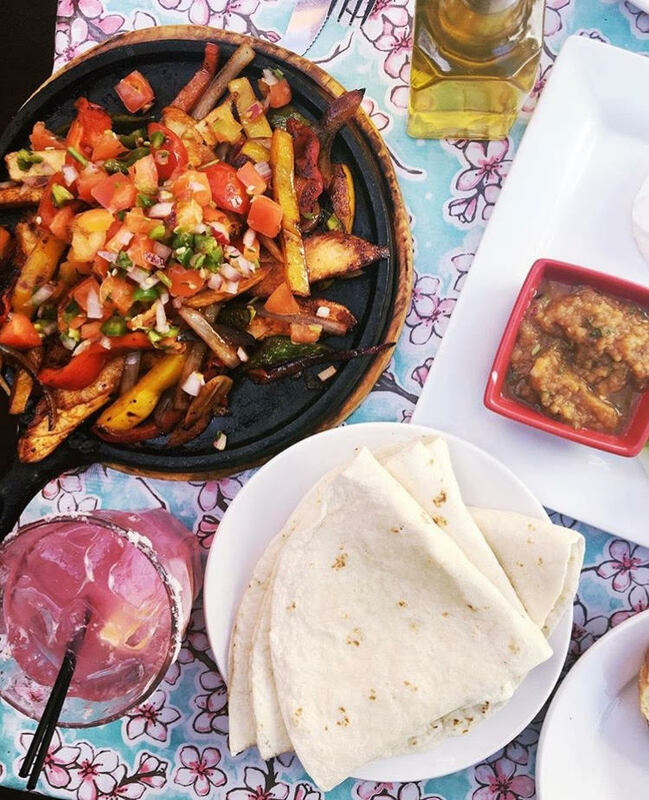 The chicken fajitas are fantastic and the lunch order is perfect for sharing. And the fig desert is incredibly unique! Tune Up Cafe: You all know I do not go to Santa Fe and not go to Tune Up! It's juts my fave little hole in the wall with good homemade food! Their pupusa's are the thing I miss most when I leave. 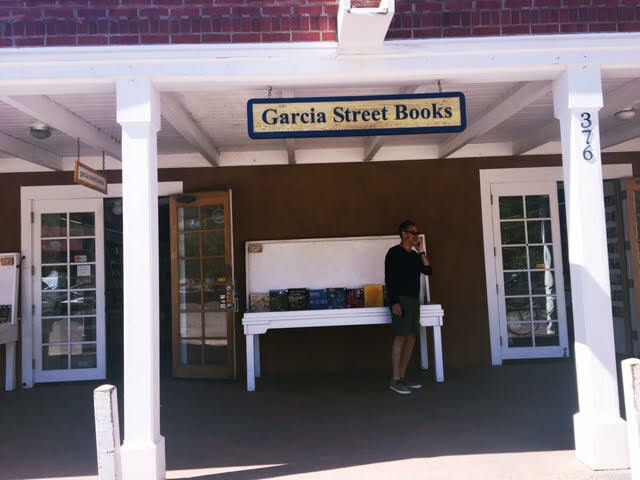 RA Organics: The food is so amazing in Santa Fe but sometimes I just need my fruits and vegetables. HA! RA Organics is fairly newer and it's so innovative. 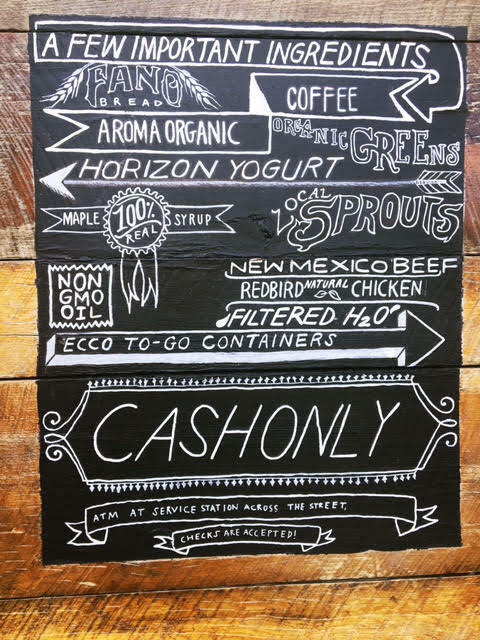 It's a superfood juice and smoothie lounge close to The Plaza in the heart of Santa Fe. I love the booster shot, especially if you are feeling a tad under the weather from all those gorgeous Chamisa plants. They kill me every time. The Full Power Warrior is fantastic too. I need the protein. 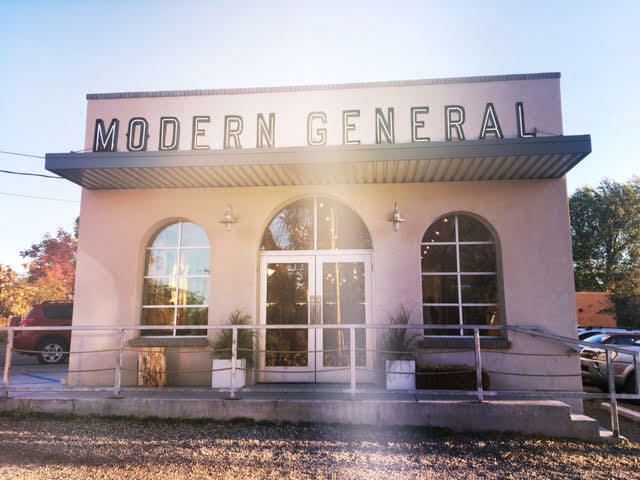 Modern General: I know, I know...I talk about this a lot but they have a new menu so I consider that to qualify under a new experience, right?! I can't say enough about this amazing General Store. Chef Erin Wade will impress you with her amazing healthy recipes! I enjoyed the avocado toast this round. And the carrot juice is AMAZE. The Shed: Such a lovely patio to enjoy classic Southwestern fare. The margaritas were good. Do have the Southwest grilled shrimp entree...it's 14 shrimp grilled with a Southwest marinade and it's heavenly. 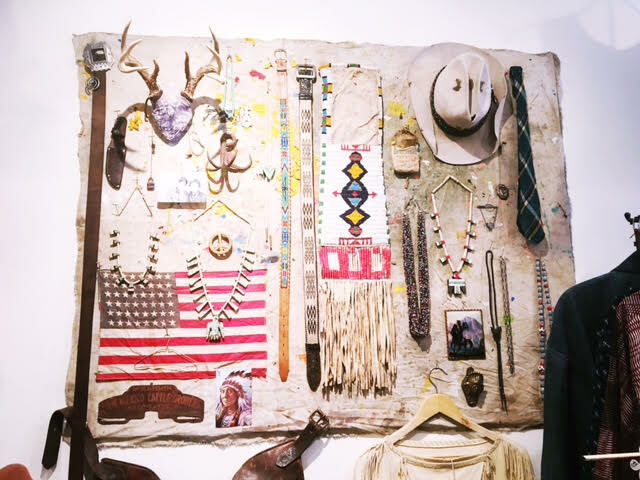 Santa Fe Vintage Outpost: This is a swoon worthy experience for anyone who has style. The curated vintage clothing and collectibles is just divine. The Outpost is located at 202 East Palace Avenue just 2 blocks off the historic downtown plaza. This location features a pared-down collection of Scott Corey's large Santa Fe Vintage. This is the place to shop for amazing pieces like flannels, jean jackets, gold-rimmed aviators and African indigo Mali cloth pieces. The shop showcases both vintage jewelry and gorgeous pieces by co-winer Julienne Barth. 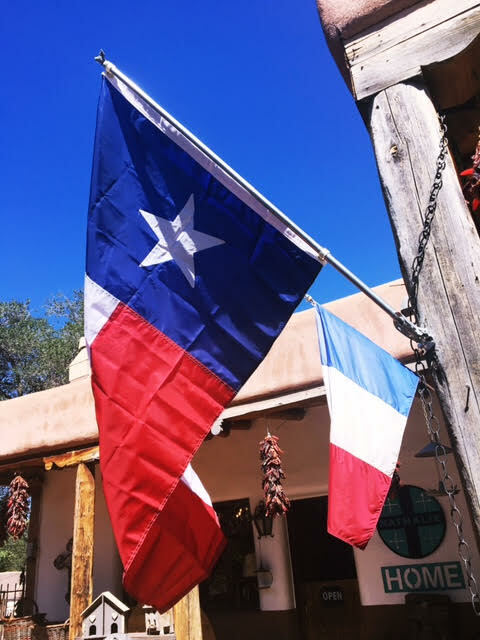 You can also contact Scott Corey to make an appointment to shop his main showroom and Santa Fe's best-kept fashion secret with BIG name designers making pilgrimages to his warehouse to source denim, cowboy boots and Southwest antiques. And I am accepting all Christmas presents from here too! Art.i.Fact: I dedicated a whole post to this fantastic husband and wife team. This second hand shop curates some amazing special designer pieces and some great vintage finds too. Everything is in pristine condition . I am obsessed with my gems from there! Nathalie: Nathalie is known for her great taste in all things beautiful and original when it comes to high end western wear and home furnishings. Her one of a kind hats are going to be the death of me as I am on a major hat kick right now. She also has lots of haute-couture. Everything has a very Texas/ Paris vibe so I feel like this whole store was just created for me. 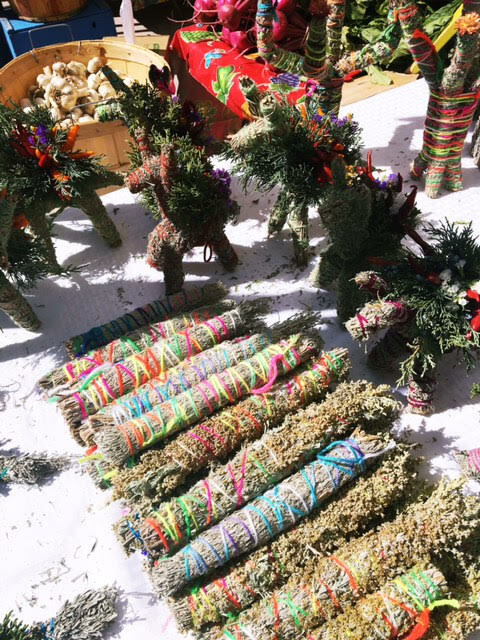 Santa Fe Farmer's Market: I feel like this is a Santa Fe religion right here. ALL the locals go and don't be surprised if you run into a chef or two or three grabbing their fresh produce for Saturday night service. Their is live music and entertainment. And it's just simply the place to be seen. 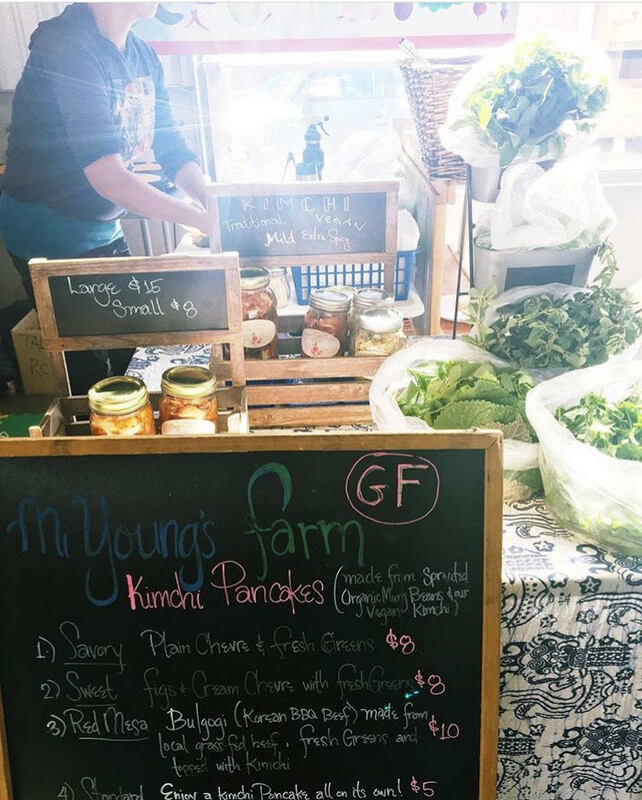 Enjoy the Kimchi Pancakes (Gluten Free) and then make a morning of it loves! TRUST ME! Meow Wolf: The Meow Wolf art complex looks like a strip mall from another dimension. Located in downtown Santa Fe, its massive main building—a former bowling alley—is covered in zig-zagging lines of explosive color. The parking lot is dominated by towering metal sculptures of a spider and a robot. 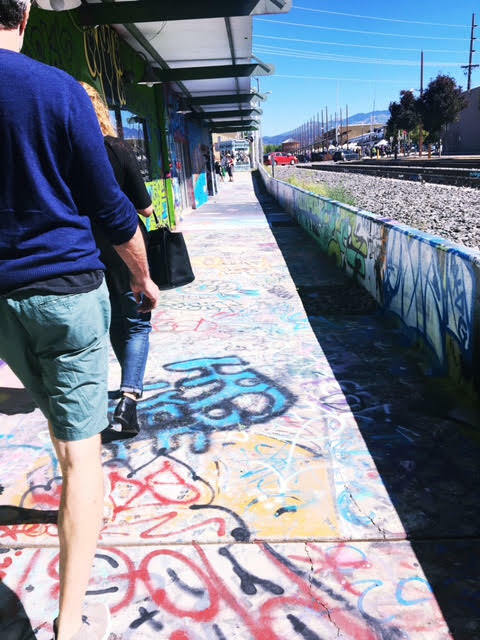 Its landlord is George RR Martin, author of the Game of Thrones series, and its tenants are a high-tech artist collective called Meow Wolf, known previously for building a full-scale spaceship that visitors could explore. On March 17, after nearly two years of construction, the Meow Wolf art complex opened its riotously painted doors and invited the public into its first permanent exhibit, called The House of Eternal Return. Think of it as a walk-in science fiction novel built with milling machines, thermoplastic, and Arduinos. Or maybe it's a cross between Disneyland and a massive, multiplayer, IRL game. Built by 135 artists and makers, the result is a 20,000-square-foot dreamworld where your goal is to figure out why an old Victorian house in Mendocino, California, has become ground zero for a rupture in space-time that’s allowing other dimensions to leak into ours. (From Ars Technia) All I can say is it is worth exploring and Wayne Coyne would live here. Deerhunter played a show there about a week after we left and I am still kicking myself for that one. Have a drink at the new Crow Bar all though I felt a little young but tis life. And go catch some live music at Skylight in The Plaza. My friend Joy and I had a blast here. We danced and just let loose to this amazing band that was playing. Here are a few of my favorite pictures ever from my recent journey. Thanks for traveling along you guys!! Where are your favorite places in Santa Fe?! Shop my faves below for your New Mexico adventure!